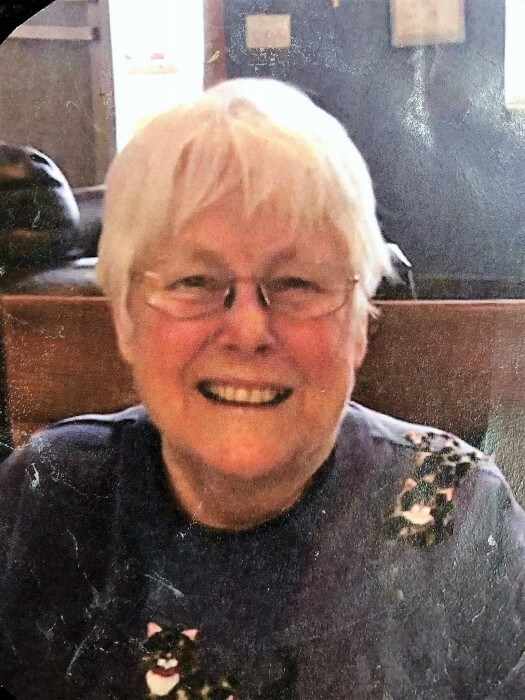 Joan Tester, age 72 of Detroit Lakes, died peacefully on January 8th, 2019 at Golden Manor in Detroit Lakes. Joan was born June 23, 1946 in Lexington, MA, daughter of Paul and Virginia Gnirke. She graduated May of 1964 from Clairemont High, Clairemont, CA. On November of 1964, Joan was united in marriage to James Michael Olson and was blessed with two daughters, Deborah and Christine. Joan and Mike were married for 23 years before they divorced. Joan met John C. Tester and they were united in marriage on January 11, 1999. During the twenty years of their marriage, John and Joan traveled to many tropical destinations and went on a few cruises. Many summer hours were spent at the family lake home in Detroit Lakes. They loved to go four wheeling on their ten acres and many trails near their home in Bemidji. Joan lived in Victoria, MN from 1966 until 1971, Lester Prairie from 1971 until 1987, Bloomington and then Columbia Heights from 1987 to 2009. Joan and John moved to Bemidji in 2009 and then to Detroit Lakes in December of 2018. Joan was a master seamstress, she worked for Animal Fair for a few years while her girls were young. She made many different types of stuffed animals and puppets that always amazed her daughters. Joan made almost every piece of clothing her girls wore as children. If it could be sewn, Joan could make it. Joan made her first wedding dress from silks brought back from Japan. She also made her sister Barbara’s wedding dress. Joan had been employed by Tonka Toys, Technical Ordinance and then Bermo, where she retired after 25 years of service in 2001. Joan was a fabulous cook. She had a favorite crescent roll and a baked bean recipe that was always requested by family. She made everything from scratch and canned anything that could be canned. Joan was a very hard worker and she always had an immaculate house. Joan is survived by her husband John C. Tester of Detroit Lakes, daughters; Deborah (Jonathon) Posusta of Lester Prairie and Christine Michalski of Moose Lake; grandchildren Derek and Jenaya Posusta of Lester Prairie and Alex Michalski, Jr. of Duluth, MN and Joshua Michalski, Rachel Dugan and Trevor Olson of Denver, CO and three great grandsons. Brothers; Roy (Barbara) Gnirke, Nelson (Donna) Gnirke, Roger (Susan) Gnirke, Sisters; Barbara (Ray) Snyder, Diane (Jim) Moulds and many nieces and nephews. Joan was preceded in death by her parents, infant son, Dale Robert Olson, Mother in Law, Mary Elizabeth Bekkeruss Tester, Son-in-law, Alexander Michalski Sr.
Visitation will be on January 25th from 5 pm – 8 pm at David-Donehower Funeral Home in Detroit Lakes, MN. Interment will be at the Barnsville City Cemetery in Barnsville, MN later in the summer.